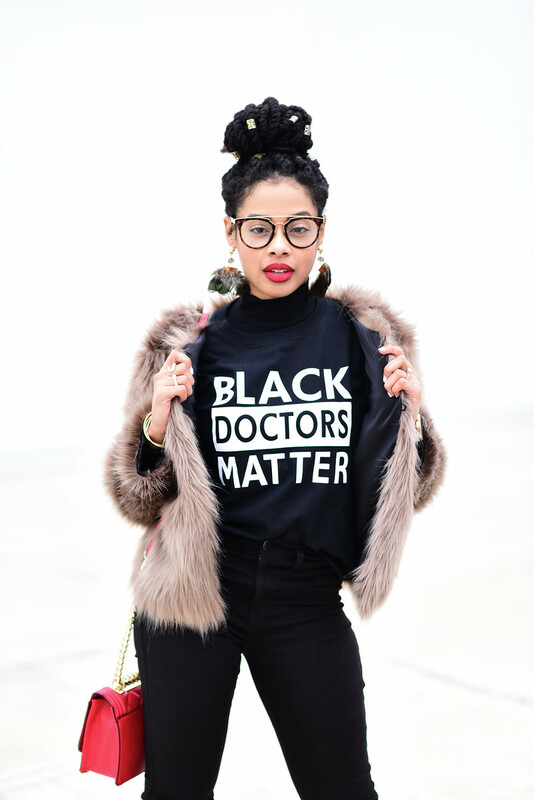 We've all heard the dreadful statistic: African Americans comprise 13% of Americans but only 4% of U.S. physicians. For the patient, this just means a more limited access to health care. "Why?" you may ask?, after the Tuskegee Experiment, it's no wonder that the majority of the black population still prefer physicians of color. Sometimes, this means that patients can go years without seeking medical attention; for others, this just means seeking medical attention, but holding tight to the belief that, "You don't tell the doctor everything" (raise your hand if you've heard this from your parents 🙋🏽‍♀️). Withholding important medical information can lead to sub-par treatment. All of these lingering consequences of the maltreatment of African Americans in the Tuskegee Experiment led to, and continue to lead to, the gap in health disparities. From a doctor's perspective, this is less of a support system to make it through medical school and residency. Let's be honest, usually the more chocolate and "caffeinated" shades will be able to relate to the anger that implodes from the following examples of typical encounters a black or brown medical provider goes through on a day to day basis in medicine. I've been told that my hair and natural hair are unprofessional, I've over-heard that a black patient didn't look like a "private insurance patient" (not in those words exactly, but directed towards a black patient), while most women in medicine complain about being called a nurse, I've been referred to as the cleaning lady or a patient transporter 🙄. (Disclaimer, I love my nurses, cleaning crew members, and patient transporters alike. This is not a dismissal to their work, only a call for people to recognize that people of color can be in doctoral positions as well 🙂). We're all tired of the lingering forms of institutionalized racism that prevent us from obtaining higher levels of education. Less government funding to our inner city schools means less preparation for the SAT and other standardized exams, and thus, less matriculation into colleges and universities. No college = no MD. Less voter polling locations in our neighborhoods and more voter ID laws inhibit black and brown individuals from voting for officials to traverse this decreased funding. The list goes on, and on, AND ON AND ON (like Badu's cypher, ok I'm done 😂 / comment down below if you got that reference, which you should have 🧐). Take a look at the medical colleges that actually graduated more than 350 African-American from 1980-2012. That would just mean ~10 black students per class per year. Not many out there, right? Please notice that the top two schools are HBCU's. This is why I preach for us to INVEST in our HBCU's. We invest in ourselves, and in our health. You will learn ANYWHERE you go! We all read from the same textbooks and online services medical school; choose an HBCU if you can. It should also be noted that at HBCU medical schools, you are serving a marginalized and minority population on your rotations, as they rotate at hospitals in underserved communities, so you are helping to give back....at the same...daggone...time! "Will I look unprofessional if I take my application photo with natural hair?" "I have to change my voice while I'm at work so I don't sound too 'ethnic,' 'ghetto,' or 'unprofessional.' "
"I really need to study today, but my hair is going to mat/lock up if I don't do it today; welp, that's 10 hours of unfocused studying." "One of my patients today told me she didn't want me to treat her because I'm black." "Great, I got a question wrong; now everyone probably thinks I'm the dumb black kid." "I want to talk about how another murder of an unarmed black child occurred yesterday, but no one else does/seems to care." " I want to defend my plan of care for this patient, but I don't want to play the angry black girl role." "Everyone is happy for this tax cut, but they don't see how it's hurting my people and a good number of our patients." These represent just a small amount of the thoughts (and real experiences) that run through the head of a black medical provider/medical student. So yes, we know that the plight of doctors from all shades is difficult, but just remember, everyone's plight is different. And this is just a SAMPLE of our plight. Now you see why I wear the shirt. Aight now on to the fit lol. I had been ITCHING to wear this faux fur jacket; no better time to do it than with an all black outfit. It was a little cold out, and I absolutely LOATHE crew necks, so a turtle neck paired with the shirt was the perfect option. I'm going to be honest with you: I only added glasses 'cause it makes me look smart. Tell me these earrings aren't fab. Having a hard time? Exactly. It's because you can't. The feathers and the faux fur help add texture to the outfit. I know this post might have gotten a little deep, but I just want to open some eyes that may or may not have been closed to some of the plights as a black or brown medical provider. Our struggle is real, it is present. I hope we can begin to think about how our care affects people of all shades, so that we can work towards the closing of the gap in health disparities. But I also hope that we can also continue to work towards closing the racial gap present in medical providers. Here's to coming together to make sure that we all matter. No one is free until we all are free.